I am offered 575 cupcakes a year! ...And I say NO! I am offered 575 cupcakes a year, by elementary age children, ON THEIR BIRTHDAY! ...And I say NO! Am I a jerk? Not at all. I do it very politely. "Happy Birthday! Ooh... For me? That is so nice. Thank you, but no thank you I am going to pass. I hope you have a fantastic birthday!" I didn't start this way. I said yes to all of them. I felt like I was denying there happiness. I felt like accepting the cupcake and scarfing it down before they left was the way to celebrate and acknowledge their day of birth. They also came 45 minutes before the end of the day when I was tired and hungry. I think dessert foods knows when we're weak. Two years ago I gave them up. I decided I would say no to all the cupcakes. I realized the taking of the cupcake didn't make them happy. It surely didn't make me happy. The acknowledgement of the individual and not the food made them happy. Don't sacrifice your health for someone else's happiness. Of course one cupcake will not make you fat. 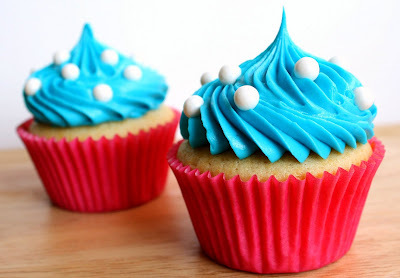 It is when eating cupcakes becomes the norm rather than the exception that it becomes a problem. That is what happened with me. Learn from my mistake. Carve your line in the concrete. Make it permanent. Decide you are going to stick to it. Your cupcake may be donuts at the office, candy from a co-workers desk, or another round of drinks. You don't need to evangelize your healthy decision. People will notice anyway. Be polite. Be consistent. Be happy and proud of the personal willpower you display! 172500 reasons to say no. 172500 is the number of calories in 575 cupcakes. That is 49 pounds! Burning 49 pounds of cupcakes requires 183 hours of running an 8 minute mile A YEAR! Still struggling with resisting the temptation? Lay out the numbers. Calculate the calories in the food via MyFitnessPal. Compare the food calories with the amount of exercise needed to burn them off. I've always said it is faster and easier to eat pizza than it is to burn one off. Plan for the parties. I am not the Great and Powerful Oz behind the curtain saying "NO" to everything. I indulge in moderation. You can too. Just be intentional. Exercise longer or harder to allow yourself more wiggle room. If there is a party, plan your meals accordingly. Celebrations, birthdays, and holidays are not the norm. Plan ahead. Failing to plan is actually planning to fail. At the party scan the scene. There will be food you really want. Some food you don't. Eat the food you want, then walk away. Parties are a time to celebrate someone or something. Celebrating them doesn't have to mean eating all their food. You can celebrate them with praise, attention, or gifts. (When you attend my party best bring all three to be safe.) Don't steal the show with any health evangelizing. Hold a private party, for one, in your head and celebrate your healthy decisions. Limits and boundaries are crucial in every healthy relationship. Especially your relationship with food. Decide what matters to you and what you can do without. Live out your decision. Saying no is not hurting others. NOT saying no is only hurting your health. 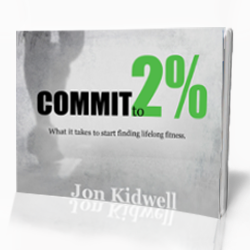 Saying no is not the end of the world; it is the beginning of finding fit. What is something you say "NO" to? Share a situation where you said "NO" and survived.